A favourite among Porsche enthusiasts, you will never tire of driving the Boxster. It rides smoothly and feels tight. The top can be lowered at a moment’s notice and is impressively free of the vibration that normally accompanies convertibles. The seats are supportive and comfortable and it comes with a high level of standard equipment. Offering both front and rear trunks, there is a surprisingly decent cargo capacity of 258 litres. 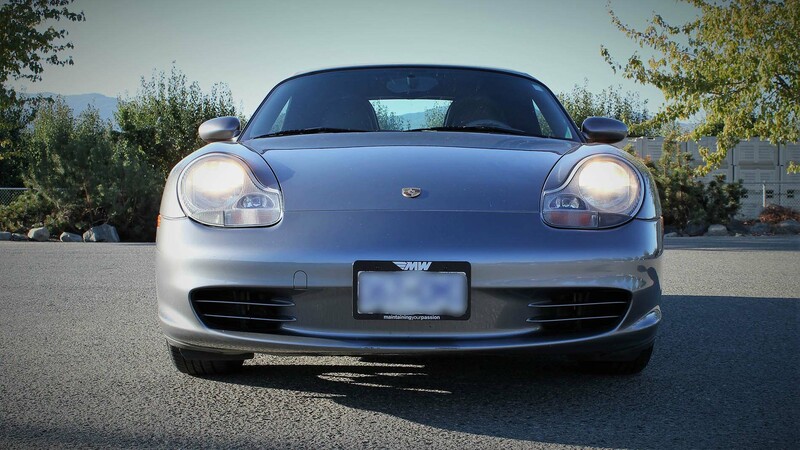 The 2004 Boxster has a 2.7L engine with Porsche’s advanced VarioCam-Plus engine valve-timing technology. It’s mid-engine architecture positions both engine and passenger weight between the axles for optimal handling of its 225 horsepower. Some of the features include power top, fog lamps, heated windshield washer system, heated power side-view mirrors, remote door and trunk locks and an anti-theft system. Recent maintenance and repairs include IMS bearing update (LN engineering), water pump, thermostat and engine belt. Other service records are available. The 2004 Boxster offers a style and character that is uniquely Porsche and very satisfying. Recent maintenance and service includes replacement of water pump and thermostat, new radiator and cooling hoses and coolant, brake and clutch fluid flushes.